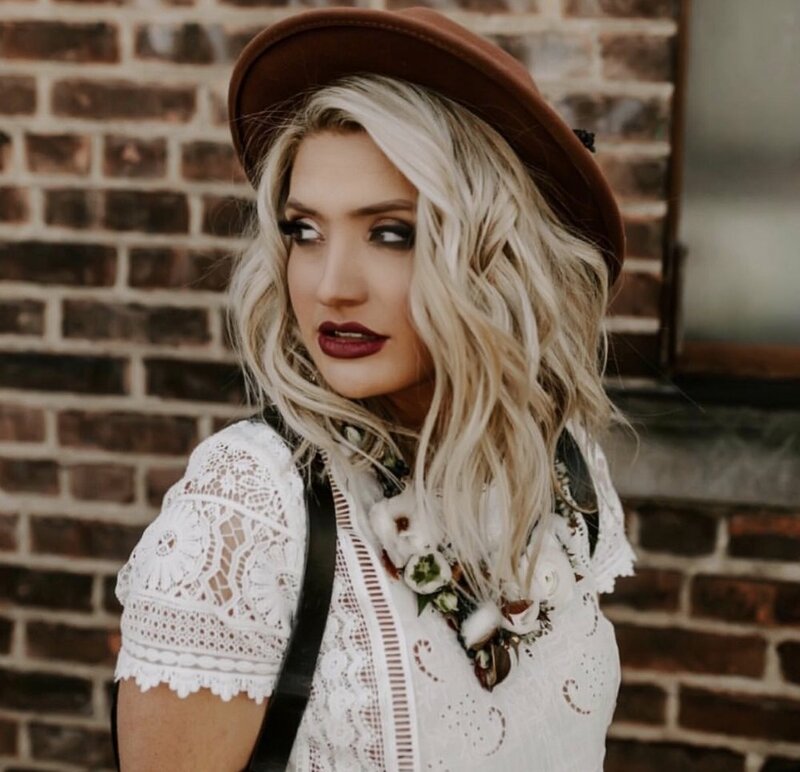 Evvy is the creator, hand letterer, and stylist behind all of the content that lives on The Blonde Maker. Her space not only focuses on entertaining and celebrating every moment you can, but also her love for creating, her daughter Charlie, her business mindset, and her bubbly moments in between. Born in Northeast Ohio, Evvy has spent her years focusing on her creative endeavors while keeping her passion of serving. Honing in on client experience's, she's also developed a dedication for making a business successful. And making sure it's a creative business at that. After graduating high school in 2009, she went on to get her cosmetology license. 6 years later, her mini-me Charlie introduced herself to the world. Evvy felt confident that she had to find a corporate position due to set hours, guaranteed pay, and better health benefits. While the corporate world started to teach Ev about business, contracts, and how to network, her creativity was still showing itself through side projects that kept her inspired. From the first time a relative asked her to letter a sign, Evvy's side hustle began. Her passion is finding a project, learning how to create it, and making it available for everyone else. In December of 2018, Ev was able to take this side hustle and turn it into her full-time dream. Currently, she runs The Blonde Maker, is a full-time student getting her Bachelor's Degree in Business Management, but her most important focus is Charlie. When she's not hustling, you'll find the girls kayaking or hiking outdoors during the day, and curling up by the fire at night. Evvy has the most determined and light hearted spirit, and it shows through to her clients. She makes sure her client-experience is stress-free, memorable, and most importantly, innovative.